This entry was posted on Sunday, October 13th, 2013 at 8:00 am	and tagged with dictionaries, extensive reading, language learning, reading, SLA, Spanish, vocabulary, vocabulary acquisition and posted in Uncategorized. You can follow any responses to this entry through the RSS 2.0 feed. I think the problem with extensive reading is that once you have all of those common use words that make up the majority of the text the remaining words are too rarely seen to get the required repetitions necessary to sink into your memory. I also embarked on an extensive reading program of sorts, reading countless novels without looking up much vocabulary. However, I found that even looking new words up in a dictionary by the next time I encountered the word in a text I had already forgotten it. I had the sense of ‘I should know this word,’ yet be unable to remember what it meant. Now I make a point of looking up new words and adding them to Anki whenever I come across them. My passive vocabulary is indeed growing through this method, however the words are not necessarily available for recall in active use. But that is, after all, last weeks article. Thanks for confirming my own thoughts about the subject. Thanks for the comment, Scott. Yes, even since I posted that post, I’ve started to pay more attention to words I would otherwise have skipped over, and have looked up a few in my digital dictionary. The next stage is to keep a record of them. And review them! 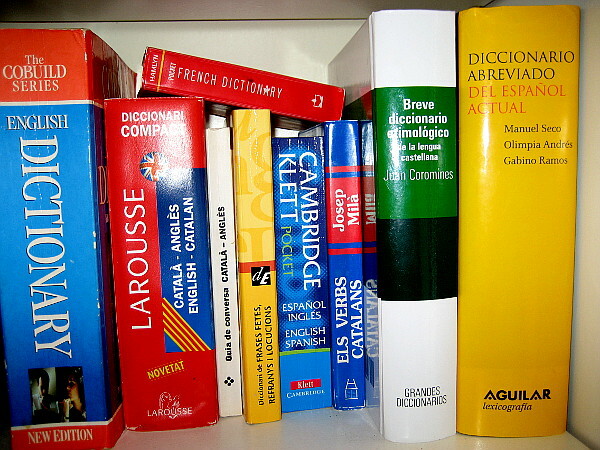 How about you create a personal Wiki for your Spanish vocabulary? You’d keep a personal record of your language exposure and would also be able to review at the end of a week. I have always told my language learners to check the meaning of a word that they are unsure of in a monolingual dictionary, guess what the translation would be then check in their translation dictionary. It seems to improve learner’s confidence when dealing with new vocabulary and makes it more immediate. Finally, have you got any audio books or movies? They are wonderful and they can give further exposure with the language or you could end up developing a lexis of newspaper speak. It’s hard work learning a language and perhaps we don’t praise our learners enough. Hi Martin, thanks for the comment. Yes, I guess the next step is ‘going audio’, as you say – which means getting over my aversion to headphones. I’m working on it! Hmm…. from experiences with trying to do extensive *expensive* reading, grin, I would go with Martin’s suggestion too, as given the fact that you are going to have many other things to be thinking about and other stuff to do during the next two weeks so perhaps downloading audio books, films or even short TV programs in Spanish on to your iPad might be a better bet. You are going to have time constraints along with environments such as waiting in airport lounges, sitting in hotel rooms etc and also shorter spans of attention available. There’s a lot “less” work involved in audio, your hands can do other things (e.g packing) and another reason is that in this medium you won’t want to stop and reach for a dictionary whenever you encounter a word you don’t know, which lets the context and the words you do know define the overall meaning of a chunk of text, also revealing some of the individual words as well. Also, perhaps, while out and about, you can try to seek out restaurant amigos who speak Spanish too and keep the output up? Thanks, Karenne. I need to work on the audio input aspect, obviously. I never listen to music on headphones (feel uncomfortable blocking out the outside world), so it’s a major leap into ipods etc. But, as I said to Martin, I need to give it a try. The novels sound like a good idea to me. Getting most of your reading input from the same source, and here a newspaper which has its own self-limiting style guide, is probably not challenging you enough. I also used to read El País regularly, and noticed that because I got used to its format, familiar delivery, style, and obviously particular columnists that I enjoyed, it became very easy reading in the end. It was hardly necessary to do any noticing at all to extract most of the meaning. The greatest increases in my Spanish vocab have come at times when I was forced out of my comfort zone into areas where the language I was exposed to had a different flavor altogether. And OK, it’s not just reading that I’m talking about here – more like total immersion in new work or learning contexts. But maybe the same fundamental idea is still relevant – you need some novelty, variety and spice to ratchet up the noticing neurons a bit. I reckon the novels will be a bit of a slog at first but a step in the right direction. Thanks, Brian – I think you may be right, i.e. that, for the purposes of vocab acquisition at least, I need to ‘step outside my comfort zone’ and extend my range of registers. I wonder if what I need, in fact, is more ‘conversational Spanish’, hence contemporary novels with lots of dialogue might be a useful source of input. small suggestion: alternative source of conversational language are interviews in magazines such as Hello! (or here in Poland, another example is Viva !). Often interviews are transcribed (no doubt with some tidying up for the usual redundancies). I’ve been reading this on my iPad mini, and while I was reading I’ve looked up a couple of words on the Oxford Dictionary of English, which the device offered as a download. I’ve checked and you can download the Diccionario de la Read Academia for Spanish, so that solves the hassle of juggling different books to check the meaning of words. For example, you could be reading El Pais online on your iPad and presss-hold a word, then tap on ‘define’ to read its definition and examples in monolingual dictionary; you could even open an app like Evernote and add copy-paste the word on a Vocab notebook there. Incidentally, I don’t think that regularly approaching the meaning of words by translation is a good idea, as it often limits your undestanding of the new word by anchoring it to a fixed translation, which is usually good for just one of the possible meanings of the word. The moment learners (that is, all of us!) associate a new TL word with an L1 word, it works like the little auxiliary wheels we add to kids’ bikes when they are learning to ride; this has been shown not to be a good learning strategy, as they don’t help children develop their balance, which has to be learnt from scratch the moment the wee wheels are removed; I hear it’s a better idea to remove the pedals so kids develop their balance, then add them back so they work on their propulsion. Great tip, Amadeu. I downloaded the RAE dictionary, but in fact when you press on a word in El País it connects to another dictionary (El Diccionario General de La Lengua Española), which, although not as thorough as the RAE, gives not only a definition of the target word but an example in context. At first I thought this was a bit redundant, since I had already accessed the word in context, but then I realised that meeting the word straightaway in a different context could only be a good thing, in terms of increasing the chances of it becoming fixed in memory. You recommend using from your former blogs Forbetterenglish.com for collocations and Stringnet for chunks…..to improve vocab….have you been able to use such a thing in Spanish? Forgotten what was the 3rd website you recommended. For me reading in a second language has always been a bit of a chore. I always used to start out with good intentions of working with a dictionary and recording new vocabulary in a notebook but I find that these things take me away so much from immersing myself in the world of the book that I ended up losing the will to carry on. Recently I’ve tried out a few things which have been more motivating and have also helped me to learn. 1) Reading a book in L2 which I know really well in English. I’m doing this at the moment with Remarque’s ‘All quiet on the Western Front’ which I’m reading in Spanish. I read this a couple of times in English more than twenty years ago and it had a big impact on me. I still find the Spanish quite hard going sometimes but I love it when I get to a bit that I recognise and it really feels like I’m able to notice more than if I was going at it cold. 2) Reading screenplays. I’ve recently done this with the Spanish film ‘Hormigas en la boca’ (Mariano Barroso). As it’s pretty much all dialogue, I find it much easier to follow than descriptive prose and because it’s spoken language I also feel more motivated to learn it. Watching the film afterwards without the subtitles was pretty easy (I would have been totally lost without having read it first) and it was really interesting to see characters and scenes that I had imagined through reading being played out in front of me. 3) Reading an author in L2 that I am very familiar with in English. I’ve read quite a few of the novels of Haruki Murakami in English and like his simple down to earth style. I was recently in a book shop in Copenhagen and found a copy of Sputnik Sweetheart in Danish. I’ve never read this in English, but flicking through it, I immediately got the sense that I could get into it, and took it home with me. I read almost half of it on the journey back to the UK and finished it soon afterwards. Even though Danish is my best second language, I’ve actually never read an adult novel in it before so it gave me a tremendous sense of satisfaction. Thanks, Nick – the suggestion re screen plays chimes with my earlier comment, about the value of reading dialogue in fiction. Is there a good source of Spanish screenplays online, that you know of? The idea of reading a familiar book is also a good tip. I remember that the explorer Sir Richard Burton, when learning a new language (and he learned lots!) would start by reading the Bible in that language. I’m not sure what the equivalent would be for me! I haven’t managed to find a source of screenplays online yet. Anyone else know one? How about finding someone who’d like to write their MA/PhD thesis in Spanish using your experiences learning Spanish as a case study? I have an article in Portuguese written by a friend of mine in Brazil which explores my Portuguese development and it’s fascinating to read, partly because it’s about an area that I’m interested in and uses language learning related language, but also simply because it’s about me! Would that work for you? 1) it is most translated book in the human history, available in many, many languages, not just the same old same old, and the translation is pretty accurate, as the translators were very intent on getting the message through. 2) our Western culture is build on the biblical stories, so most of us are more or less familiar with them, especially Richard Burton (being a British Victorian gentleman). I consider the Bible part of the “general education” because of the literary value, not because of the religious significance of the book. As Kató Lomb says, the irrelevant and obsolete words and forms will disappear as one uses the language. Fascinating and thought provoking. I was about to suggest uploading a dictionary on to your smartphone which is certainly less bulky and always at hand. The only problem with that is that you can’t keep a record of the new words….although, come to think of it, the words you’d have looked up would still show up later on. Do it the old fashioned way and write them down on a nice notebook. On the other hand, the advantage of dictionaries is that you can highlight a word you look up and later in the week have a general revision. I find that using a new word as much as possible, forcing it somehow into your conversation makes it memorable. Hi Jean… pursuant on your comment, I discovered, fiddling about, that the bilingual dictionary I downloaded (the Collins Spanish-English one) has a ‘history’ function, whereby you can see all the words you recently looked up. This is a fantastic tool for review: there were words there I’d already forgotten I’d looked up! I’ve had a quick look at lingro….does it only translate or can it be useful for EFL students looking up words in English and wanting a definition in English? It does have English to English, although it’s not graded and may not be very helpful to lower level learners. Thanks, Ben … I had been aware of this tool but somehow had ‘mislaid’ it, i.e. forgotten to bookmark it. I remember thinking, when I first came across it, what a brilliant aid it would be. I’ve just registered and started my first word list based on an article from El País. Brilliant! Yes, the fact that my vocabulary, however extensive, is primarily receptive rather than productive is a source of frustration for me, and suggests, too, that comprehensible input is insufficient for language production (pace Krashen). What an honor! This is a perfect example ‘personalized learning’ 🙂 Yes, I was influenced by Steven Krashen’s theory of comprehensible input for quite a long time but now I’m becoming more and more convinced of Swain’s theory of pushed output (and many more). In your post on your motivation, Scott , you identify a clear purpose, namely to be able to give a presentation in Spanish. The flagging motivation you mention at the start of this post may be related to the fact that you are not working towards that goal, or at least you do not perceive any progress towards that ideal self. I like Daniel Pink’s motivation model which has three elements: autonomy, purpose and mastery. Mastery refers to the idea that you need a bit of success to keep you going, in this case some evidence that, as a result of your efforts reading in the language, you will become more competent at presenting in Spanish than you are. I have personally found it difficult to motivate myself to read extensively in Spanish, though I have lived in Spain for 24 years. To find the will to do some reading in Spanish on your trip you might need to make an explicit link between the endeavor and the result you desire, the “presenter in Spanish self” , between the buck and the bang. Anyway,enjoy your trip! Thanks, Duncan – yes, you’re right, I think, that there needs to be more consistency between the means and the ends, i.e. the reading I do and the goal of presenting in Spanish, and that do achieve this, I should be reading, not so much the news in Spanish, but stuff on applied linguistics, methodology, language etc. I might head down to Alibri (an academic bookshop in Barcelona) this afternoon and see what they have. Re your ideal Spanish presenter self, how about setting yourself an achievable short-term goal? For example, the AESLA (Asociación Española de Linguística Aplicada) conference in Seville next year. Although the deadline for abstract submissions is the end of November, which seems scarily soon, the conference isn’t until April. But it might clash with IATEFL! Gulp. Am I really ready for this?! I guess I could talk about this ‘experiment’ itself – something like ‘Recargando las pilas: un caso de desestabilización autodirigida’ (Recharging the batteries: a case of self-directed destabilization). How does that sound?! Wonderful! I suspect that you’re far more ready than you think you are. What about AESLA 2015? That would give you time to draw some more conclusions as well as provide an incentive for your Spanish Ideal self. I for one would like to see that. Animo! I once spent about two years reading about half an article a day in Le Monde. This did absolutely nothing for me. Maybe there just wasn’t enough volume to see the rare words often enough. Maybe my heart just wasn’t in it. Maybe I was reading the wrong kind of material. Later on, I signed up for an extensive reading & listening challenge. This involved 10,000 pages of reading and 150 hours of films/TV in 20 months. This time, I saw dramatic improvements. When I started, I had maybe 80% comprehension of French text, and I could understand small fragments of the news. Today, I’m about 95% through the challenge, and I just read Le pont de la rivière Kwaï, and only needed to look up one word every three pages or so. This is roughly 99.8% comprehension (though I’m usually closer to 98%). I saw decent improvements in listening, too—I still struggle with French movies, but I watch lots of TV series with ~80–90% comprehension. I do use Anki occasionally, but it accounts for less than 20% of the vocab I’ve learned, as far as I can tell. I know several other people involved in the challenge who’ve also made great progress. So there’s at least some subset of the population who really do benefit from extensive reading and watching. Thanks, Eric – I’m fascinated by the determination with which you’ve gone about improving your French – it’s enviable. I think that I need to do something similar, especially with listening comprehension, which lags way behind my reading comprehension. It’s only in the last five or six years that I’ve started the day listening to the news in Spanish rather than listening to the BBC World Service – I don’t know why I didn’t start sooner. But that’s only 30 minutes a day max, reinforced by the TV news in the evening. I have a friend who watched Catalan soap operas on a daily basis for a period of two or three years, in order to improve his Catalan comprehension, and it seems to have worked. Personally, I found TV and radio news to be a bit of a dead end. At first, all that Latinate vocabulary and current events helped a lot. But news stations change the subject every 30 seconds, there’s always too many people talking, and the pictures don’t help very much. It was basically the “first page effect,” over and over. So I plateaued quickly, and further progress was like pulling teeth. I had much better luck with TV series. This was sort of a “narrow listening” strategy, by analogy to the “narrow reading” I’ve seen Krashen mention. I’d buy DVD box sets on Amazon.fr and watch three to five sesons, all with the same voices, the same specialized vocabulary, lots of contextual help from the plot, and so on. Starting out, I could maybe understand 40% of Buffy contre les vampires (and 90% of the written “script”). After one season, I reached 70%, after 3 seasons, I could sometimes get 95%, and after doing the same with several other series, I could just turn on French TV and understand enough to have fun. When extensive activities work for me, I think it’s because I have lots of extra context somehow (from the story, from the subject under discussion, or from the pictures on the screen), and if I pay sufficient attention, that gives me a temporary comprehension boost. And then that temporary boost gets “locked in” by repetition. Progress is only an inch at a time—solidifying knowledge of a word here, puzzling out a new word there—but those inches add up. To start with, it is important to emphasize that ER doesn’t simply refer to reading a lot, but to reading a lot of *easy* texts. There must be high–indeed, near-total–comprehension, because ER is primarily about developing reading fluency, not about learning new vocabulary. 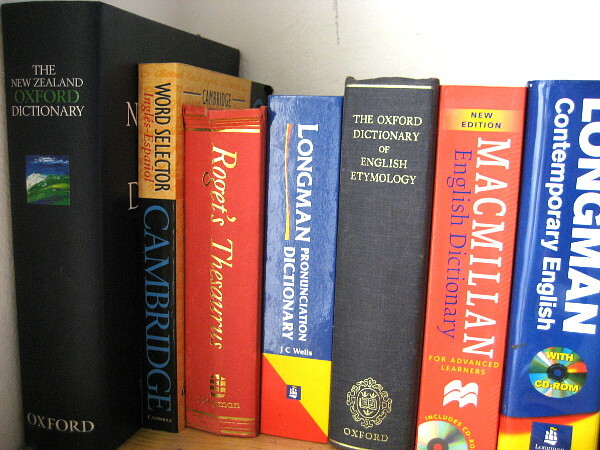 Bamford and Day (2004: 1) start out their Cambridge Handbook with, “Extensive reading is an approach to language teaching in which learners read a lot of easy material in the new language. […] They read for general, overall meaning, and they read for information and enjoyment.” There is very wide agreement that these are the crucial tenets to the approach. Yes, Nation and others refer to incidental vocabulary learning, but they also always qualify it with caveats that readers might “learn one word in ten [unknown words]” through context (i.e. not a great rate! ); and that “learning rates can be increased considerably by some deliberate attention to vocabulary” (Grabe 2009: 173), by which ER practitioners often mean ‘un-ER’ activities such as making word lists and using flash cards. In other words, the generally acknowledged and modest vocabulary gains from ER can–and arguably should–be supplemented by explicit non-ER vocabulary practice. Unfortunately I’ve got to run to class soon, so I’ll have to end with one of my patented Hokey Learning Analogies: Extensive Reading is like jogging every morning, and NOT like training for a marathon. Sure, there is overlap between the two activities, but the former is meant to be easy and fun–and to bring its benefits incidentally and over time. The latter is challenging and oriented toward a short term goal–but can incidentally be fun, if you’re the competitive sort. Thanks, Marcos, for your considered comment, and a valued one, too, given your investment in ER (literally as well as metaphorically!). Far be it from me to belittle the usefulness of ER, particularly in terms of developing reading fluency (which, I have to say, I sort of already had in my L1 – I just needed to break through the lexical ‘threshold’ that some writers argue is a prerequisite for skills transfer from L1 to L2 – and I think I have done that). Also, if it’s true that I have a sight vocabulary of 10,000 words, a great deal of these must have come from my reading, and that is a testimony to the power, over time, of ER. What’s more, I seem to do well in tests involving grammatical awareness (witness the placement test I did, and the accuracy score on the Versant test), and I suspect that this awareness was ‘imbibed’, as it were, from the millions of words of text I’ve been exposed to. It certainly didn’t come from conscious attention to grammar rules. I guess my disappointment, or frustration even, is that (a) the lexical gains seem to be tailing off (but I have no proof of this) and (b) more importantly, little or none of this sight vocabulary seems to have transferred to production (although I did consciously monitor the unprompted use of the verb indagar [investigate] in a conversation the other day, which is definitely one I picked up in my newspaper reading). Now, of course, most proponents of ER make no claims that receptive vocabulary will be available for production, and in fact (as you point out) make no strong claims for vocabulary acquisition at all. (The exception being Krashen, viz ‘Teaching vocabulary lists is not efficient. The time is better spent reading’ (2004: 19)). 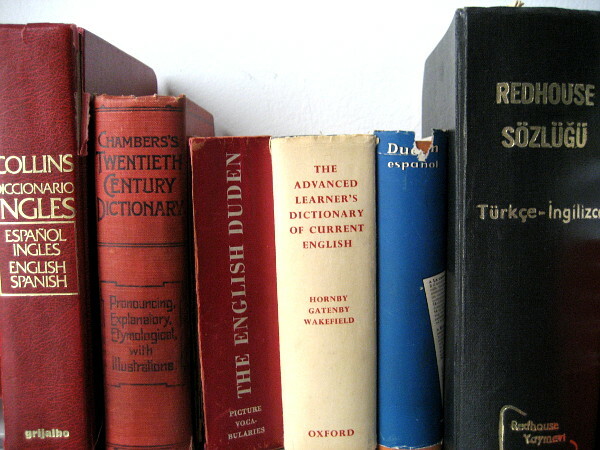 My feeling is that the time might be best spent reading and keeping (and reviewing) a vocabulary list. Given the accessibility of tools that now facilitate this, there seems to be no tension between easy reading/ reading for pleasure AND reading for acquisition. That is an awful lot of reading of El País. Brian has already commented on the restricted style. Also, from my own experience, I often can predict the rest of a news story from having heard it somewhere else or because the outcome is predictable. Thus, I wonder how much I am really “reading” at a certain point. Let’s return to your motivation–to present professionally in Spanish–to try to remotivate. If you’re not already, maybe build up a good blogroll of educators blogging in Spanish. It doesn’t have to be ELT related. In fact, it might be better if it isn’t. Following some teachers and educators on Twitter in Japanese gives me some short doses of text in a mix of professional and personal (but I’m hardly systematic about it). Along with the novels, load up a good offline rss reader on your iPad with “blogs sobre la educación en español” and you should be able to find some reading that is engaging and in a voice much closer to presenting than El País. I’d expect you’ll get plenty of input of the kind of chunks that teachers will use to talk about teaching and the way they chat at a conference. It should also be relatively easy to copy those chunks into a list for later review without too much disruption. But I wonder, is it possible to redirect towards your goal within novels? I can’t think of any novels set in the world of ELT (perhaps a better potential change than to journalism, there are certainly some entertaining stories to be told) but novels or memoirs set in schools or universities? But more to the point, how did you select your novels? I’ve been struggling with two SF young adult novels (one translated from an English original I read a while ago and one only available in Japanese). I chose them as totally unimportant “pleasure” reading in a genre I enjoy and because they were very popular. Are you going to share your choices and how you arrived at them? Hi Ted, The two books of fiction I chose are in fact short stories, figuring that these would tax my (already depleted) attention span less than a full-blown novel. They are a book of very short pieces by Juan José Millás, whose often surreal column in El País every Friday I enjoy (although sometimes have trouble unpacking, due to their almost poetic concision) and three collections of short stories by Roberto Bolaño, gathered into one volume: Bolaño is not only a great writer, but was (he died in 2004) a friend of friends of mine: I met him on more than one occasion and this adds a certain extra motivation to the reading. Does that answer your question? Hi Scott, I didn’t spot your pun on “ex t/p ensive” first time round (back again now to read the comments). I’ve just tweeted how I imagine the pun works. Just the one letter different. Can you think of any puns in Spanish like the one you made? When I was living in Spain, I found that reading a good, simple (not simplified) novel improved my Spanish more than the Spanish football press I read on a daily basis. Novels introduced me to a rich(er) lexical set – words and expressions which were recycled over 100/200 pages. This meant that the cost/benefit of anything I looked up (typically near the beginning of the book) paid off as they popped up again and again and words that resided in the depths of my passive knowledge began to surface and became more available in conversation. A Spanish teacher once told me – don’t worry about learning new words , just try using the ones you already know! Also, if I was really enjoying a book, I would talk about it more .In literacy teaching, I came across the notion of a ‘literacy event’ (Barton and Hamilton 2000) – that a text is ‘situated’ -it exists in a social context – to be talked about or acted upon. Perhaps joining a book club might help? A fascinating area and an equally fascinating thread of discussion that has emerged. I do extensive reading activities with my class and this consists of three times a week devoting twenty minutes to sitting quietly in the classroom with individually chosen graded readers. The students start off somewhat sceptically but seem to grow to love it over the period of teaching. Perhaps, it has occurred to me, the greatest benefit is psychosomatic? I do feel that a reading session needs to end with the scribbling down of new lexical chunks (rather than words) and interesting grammatical arrangements. I also feel that once you reach a fairly low intermediate stage, vocabulary expansion requires some concerted effort. You could do worse than read “Moonwalking with Einstein” for some approaches to memory activities. I tell my students to have a mound of cards that are reviewed daily. At the end of the week, any chunks that can be effortlessly and accurately translated are moved into a weekly pile. This pile gets reviewed every Sunday. 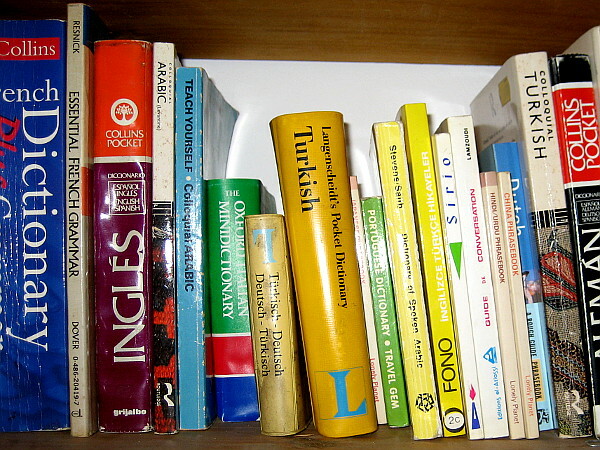 Any that are effortlessly and accurately translated are moved into a monthly pile and any that aren’t return to the daily pile. The monthly pile gets reviewed on the last day of every month and those which are effortlessly…move to a dark drawer. Those which are not return to the daily pile. You don’t want to be carrying a load of cards around the world with you, I imagine, so you can make use of some of the virtual flashcard sites and/or apps that are around. If you develop the discipline, I am sure that the development will come (hardly a scientific endorsement). Memorising short poems is also a great approach to cementing lexical chunks into the brain. @joe_kirkby has written about the benefits for him of learning poetry. He’s a UK state school teacher whose blog (pragmaticreform.wordpress.com) comes highly recommended. El Principito (a useful text for any language learning) – Author unnecessary! …all by men. Not sure what to make of that, but Wikipedia lists Beatriz y los Cuerpos Celestes by Lucia Extebarria, La Hija del Canibal by Rosa Montero and La Nada Cotidiana by Zoe Valdes as among the top 100 books of all time. It also lists Como Agua por Chocolate by Laura Esquivel which I *have* read and enjoyed. …oooh…and Caperucita en Manhattan by Carmen Martin Gaite…I liked that on a lot too. Breaking news: In order to calculate my lexical coverage of a typical day’s reading of El País, i.e. the percentage of words I know, I needed to create a wordlist from a small corpus of El País articles. Of course, I could have just gone through the articles themselves and circled every word I didn’t recognize, but I preferred to work from a list so as not to be influenced by context. At the time, no such wordlist tool (i.e. a tool that turns a text into a list) existed for Spanish, so, in the end, I had to work off the text. Since then, Tom Cobb, of the amazing Compleat Lexical Tutor has adapted his Concordance program so that not only does it accept Spanish, but, even more amazingly, when you click on any word in the concordance you get a definition of it. Brilliant! Thanks Tom! It seems to me that the use of the dictionary while doing your reading is somewhat similar to what I did when I was studying Japanese. I read articles, checking unknown words as I went. As people have pointed out above, the problem is that you may not come across the word again for some time and will therefore not remember it. The method I used to overcome this problem was simple. I read the article again. In fact at the time I was very motivated and I read it again and again. I also read it out loud and repeated it until I could read it at a faster than natural pace without making errors. Then I moved on to another article. Not exactly extensive reading, and I realise that the contexts I saw new words in were limited to the articles and the dictionary examples, but it worked pretty well for me. Let me know where to find something similar in Catalan! Thanks, Hilary. When I said ‘test’ I should have said ‘measure’ or ‘quantify’, i..e some way of quantifying your vocabulary size. There was a website circulating a few months ago that claimed to do this for English (i.e. telling you whether you had a vocab of 10,000, 20, 000 or more words of English). I’ve since mislaid it, but if anyone knows where it is (or an equivalent) let me know. Hi Scott (long after the crowds have left the plaza), for what it’s worth, I always had a dictionary on hand to look up every single new word while reading the paper or a novel during my time in Germany. I believe it helped me acquire new language items. Like Marcos I was pleased to see you tackle the subject of extensive reading, and I hope it’s not too late to chime in! I have a few observations. First, your vocabulary of 10,000 words is pretty awesome. I majored in Spanish, but I’ve been away from it for years, so I doubt I’m even close to that. Plus, these days I tend to mix my Japanese and Spanish now, saying things like, “Tabemos,” which is a mixture of “comer” and “taberu,” (to eat, in Japanese). Besides 10,000 words being pretty awesome, my other observation is that a vocabulary of 50,000 words would be HUGE! I’m not sure if there are that many native speakers of Spanish with that vocabulary size. I wonder if my English vocabulary has 50,000 words! But more interestingly, Rob Waring has done a funky, little set of calculations, which he calls. “A statistical analysis of the number of English words you need to meet (at given recurrence rates) to ‘learn’ that number of words.” Perhaps you’ve seen it. Forgive me if you have already seen this, but Rob’s calculations go something like this. Let’s assume that to learn a new word incidentally, you need to meet it 10 to 20 times. (At the last ER congress Paul Nation was saying 10 would be enough). So by Rob’s calculations, to learn the 2000th most common word, you would need to read 231,250 words of running text for 10 meetings and 462,500 for 20 meetings. Now jumping down to the 10,000th most common word, you would need to read 6,328,947 words of running text to meet it 10 times, and you’d need to read 12,657, 895 words of running text to meet it 20 times. This idea may have been commented on in the above discussion, but I didn’t see it. Though the calculations may be a bit different for Spanish, the principles will be the same, and I guess my point is that you’ll have to read huge amounts to incidentally learn those lower frequency words because they are going to appear so very infrequently. On the bright side, in September of last year, Paul Nation chimed in on this topic at the ER World Congress. I wrote a summary of his thoughts for my website, but I haven’t published them yet. Nation basically said that Tom Cobb was wrong and Krashen was right (caveat following). That is, Paul was saying that second language learners could learn the top 9,000 English words by doing ER alone, assuming 10 meetings for words. That, of course requires about reading 6,000,000 words, which most learners don’t do. The caveat was Nation said that Krashen was wrong in his separate view that deliberate study is not helpful. Obviously, Nation is going to say that deliberate and direct vocabulary study is effective, and we know that it is. At your level of Spanish it seems to me that extensive reading would be the best way to increase vocabulary and that direct study wouldn’t even be necessary, though I know many on this thread will strongly disagree with me. After all, when native speakers learn their 10,000th word, they don’t bring out the flash cards to learn more. They learn naturally. It seems that you are closer to the L1 or superior level than a regular L2 learner. Nevertheless, the good news is that we can do both ER and direct vocab study, and that you already have a pretty darn good vocabulary in Spanish, good enough to give presentations in Spanish, I think. Anyway, I’m curious to see how your progress continues, and you’ve inspired me to get back into Spanish! Thanks always for your thought provoking posts.